Cirplex is a small website and software development company that wasn’t created in a garage, instead we were created in a basement, where we still operate. Our focus isn’t on one piece of software or a single project, we tend to make a lot of software. Mostly creating smaller sites and applications, we find joy in solving problems that others seem to ignore. Our existence officially started in May of 2015, when the applications and websites that Cirplex’s founder, David, created for personal use started to gain traction with others online. 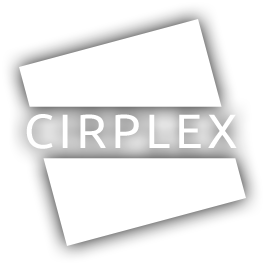 With the increase of interest, Cirplex was created. Ever since David got the final form notarized, he never looked back. Right now Cirplex is operated only by David. While still too small to expand to hiring a fantastic team, David still is dedicated to creating software and websites for others to enjoy. Leaving behind his freelance work, David now works on Cirplex projects full-time. If you would like to reach us, the best way is by contacting us using the e-mail address below. We check and respond to messages daily. We would love to hear your feedback and know about any bugs. Quickly share and talk with us on any of the social media platforms we are part of. We would love to hear your feedback about our projects and learn about how you use them.